Why Apple and me? Apple has a big department called Apple Accessibility, which focusses on making Apple products accessible to everyone, including people with disabilities. My work with Apple has opened up my mind to look at accessibility and inclusion from new diverse perspectives, and looking forward to continuing this conversation and development in the space of accessibility, technology, and lifestyle. Tim Cook, CEO of Apple Inc. greets Marisa & Piotr backstage after delivering a special performance at Apple HQ's new Steve Jobs Theater on May 17, 2018 for Global Accessibility Awareness Day, alongside deaf deaf celebrity Nyle Dimarco. Marisa & Piotr made history, being the first dancers to take foot on the stage and the first presenters to receive a standing ovation at the Steve Jobs Theater. 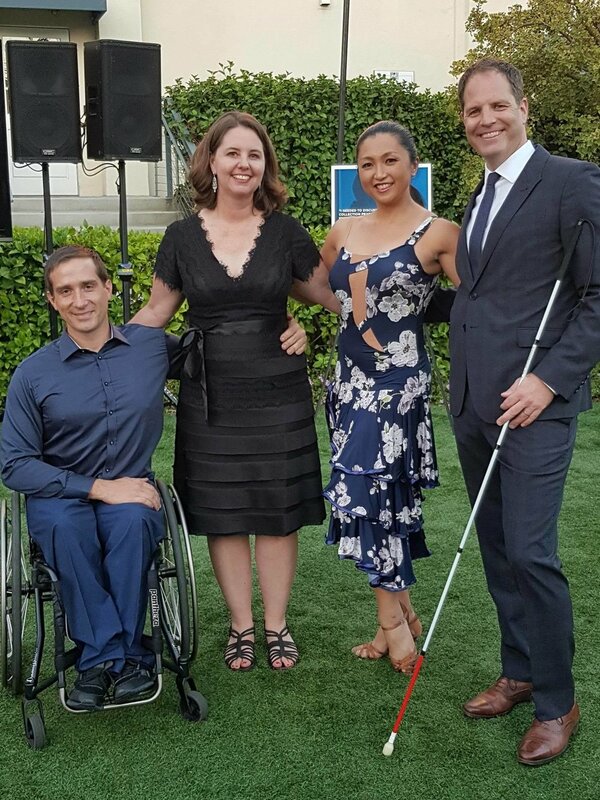 Apple was presented with DRLC's Business and Technology Award for their accessibility work, and Infinite Flow was featured as a cause auction recipient for an Apple Watch Series 3, and represented Apple for a performance during the gala.